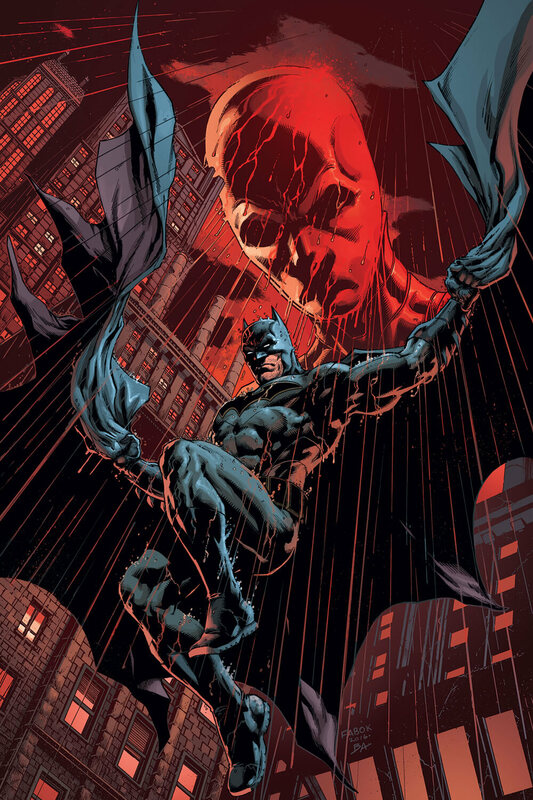 On the entrance of Wayne Tower, Batwoman stands aside with Renee Montoya inspecting a security footage showing an unknown group of people appear and kills the approaching guards by apparently exposing them to various poisons. The man leading the group comes forward and states that they are here to file a complaint. Batman goes to meet Jacob Kane in the Belfry holding cells but he refuses to give up any information about his mission. He talks to Kate about the current condition of Stephanie, who was hanging out at Thompkins Clinic with Harper Row and Jean-Paul Valley. 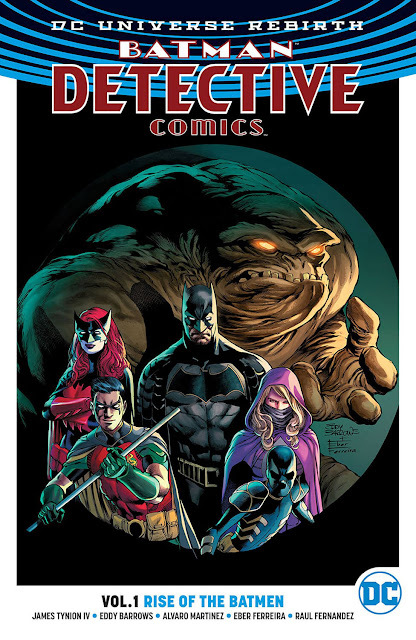 Orphan and Clayface was training in the Mud Room, when Basil Karlo realized that he is the biggest bad-guy in Batcomputer's database before Cassandra finally shuts down the program. 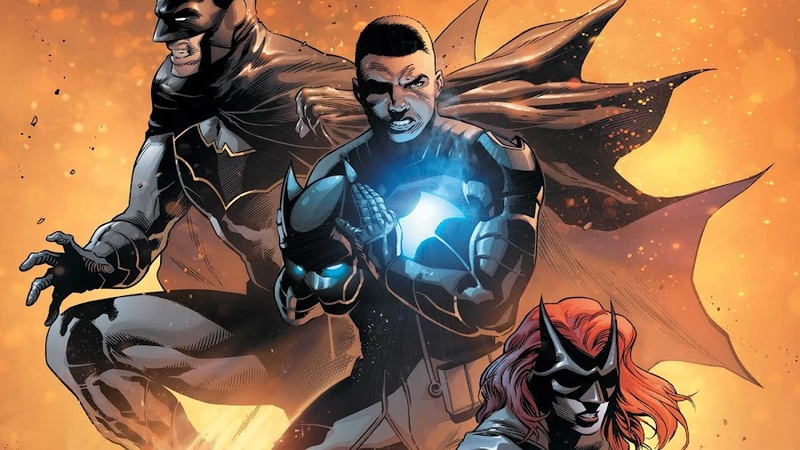 Bruce and Kate walks into policemen's ball as the former is here to recruit Luke Fox in his fold as Batwing. 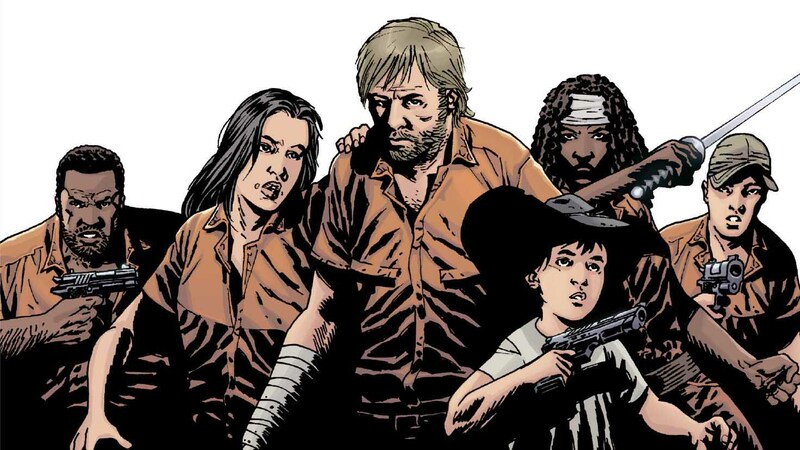 Suddenly, an explosion goes off and the group who earlier broke into Wayne Tower arrives, introducing them as The Victim Syndicate. Soon, Bat-Family arrives in scene but are easily taken down by Victim Syndicate. Their leader; the First Victim explains that he and his companions; Madame Crow, Mister Noxious, Mudface and Mute are all results of Batman's failure. Batwoman's investigation revealed that all members of Victim Syndicate were victim of The Joker, Poison Ivy and Scarecrow during their fight with Batman. Meanwhile, a poisoned Spoiler starts acting all rational and out of character. Plus, A.R.G.U.S. has been keeping a secret called Monstertown! 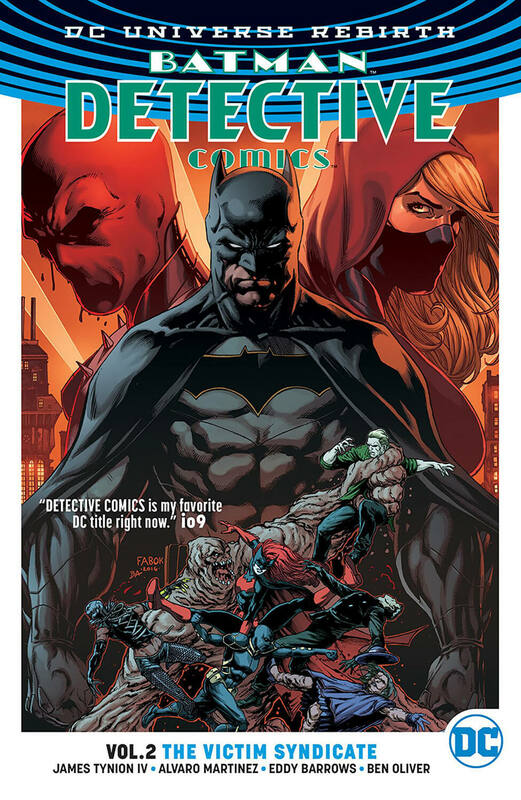 Here is your links to buy "Detective Comics – The Victim Syndicate" from DC Comics in issues on Amazon. Here is your links to buy "Detective Comics – The Victim Syndicate" from DC Comics on Amazon. 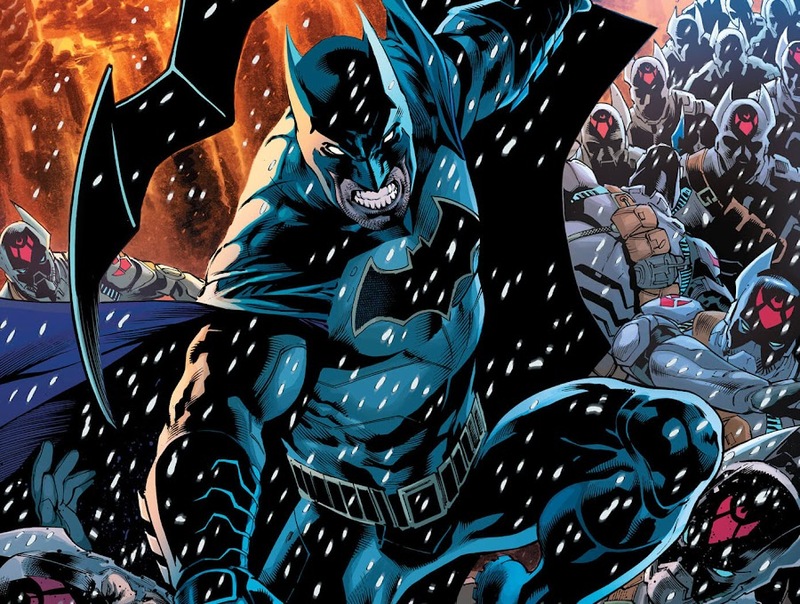 The "DC Rebirth" mania successfully kicks off with "Rise of the Batmen", DC Comics brings the second storyline of Detective Comics in order again in 2017. The story is comprised of issues #943-949 of the Detective Comics monthly ongoing featuring works of writers James Tynion IV (Batman/Teenage Mutant Ninja Turtles, Red Hood and the Outlaws) and Marguerite Bennett, who are also assisted by artists Alvaro Martinez, Ben Oliver and Eddy Barrows (Superman, Teen Titans) as well. 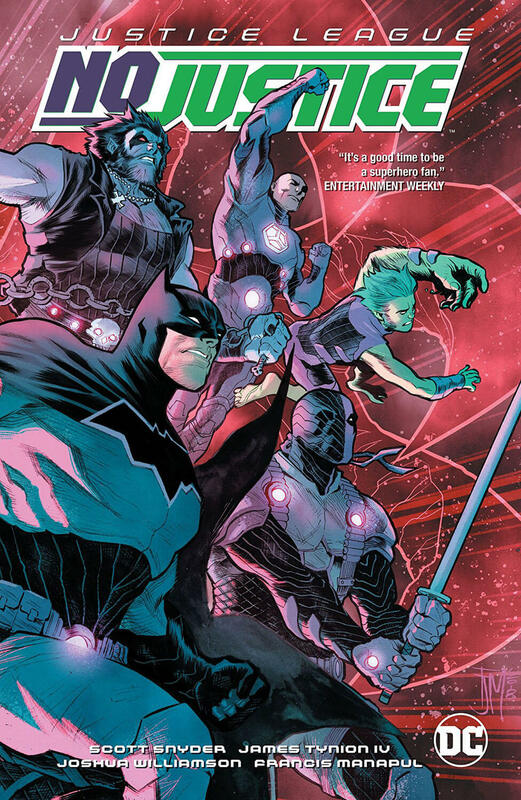 Taking place right after the crossover event "Night of the Monster Men", the plot of the book takes a flashback at "Zero Year – Secret City", when The Dark Knight debuted his crime-fighting career by start fighting against the gang Red Hood One used to run. 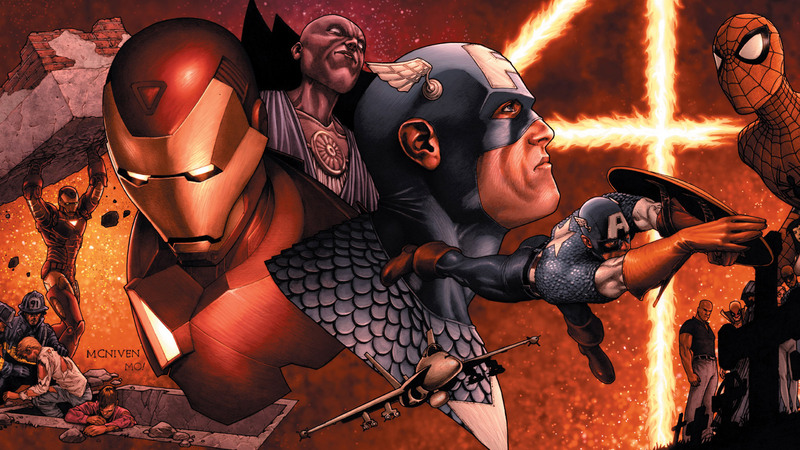 The story will continue in the next arc "League of Shadows" and stakes will go higher. As Hurricane Milton is headed towards Gotham City, something weird starts happening to the corpse at Tolliver Memorial Morgue. Batman and Batwoman were atop a building observing the weather. Reminding even he cannot fight nature, Nightwing also indicates the possibility that this one may be worse than "Zero Year" but since he has lost Tim, he won't allow any more loss of life. So, he calls for Clayface, Orphan and Spoiler to lend hands. In Cauldron, Dr. Hugo Strange is working out and is reminded that it is time, to which he agrees and the corpse on the morgue starts taking grotesque form, turning into something monstrous. 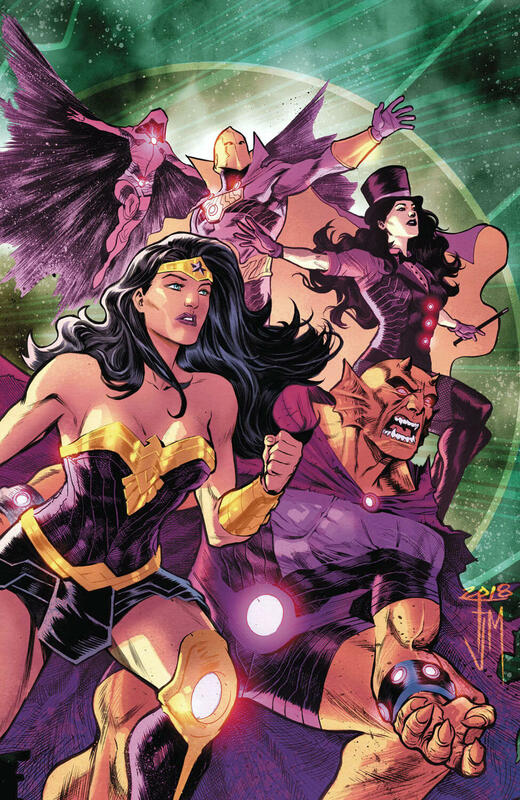 The entire Bat-Family is assembled and given their task of rescuing people when they all suddenly saw a giant monster approaching to them. Sending his cavalry to help the citizens, Batman jumped in to confront the monster and after quite a hassle, he even managed to take it down. Upon analyzing its DNA, they learn that the person Bob Castro, who was turned into this monster, actually killed himself in Commissioner Jim Gordon's office and was a former patient of Hugo Strange. Batman eventually deduced the real culprit behind this incident by connecting the dots and then another monster arrives. 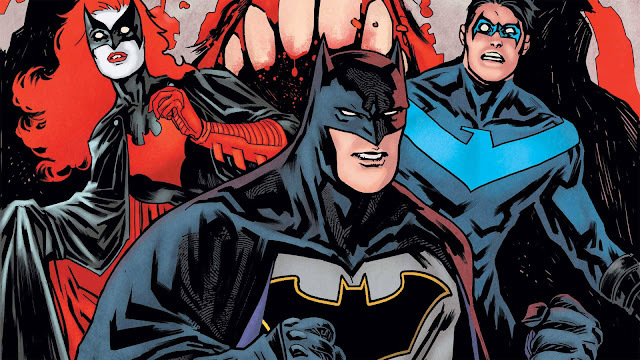 He sends Nightwing for investigation while trying to draw the monster's attention to him and Batwoman. Clayface, Orphan and Spoiler assists Detective Bullock with evacuation. The situation on street worsens and Gotham Girl decides to join the fight in her shaky condition in spite of Batman's warning. 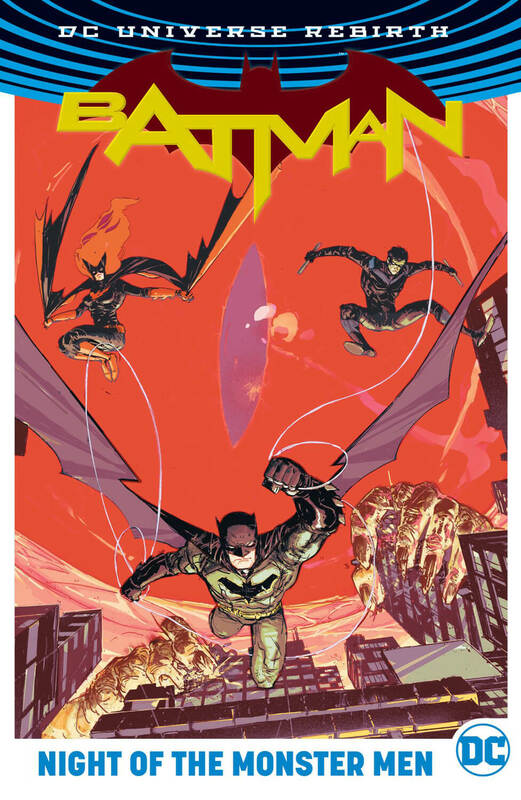 Here is your links to buy "Batman – Night of the Monster Men" from DC Comics in issues on Amazon. Here is your links to buy "Batman – Night of the Monster Men" from DC Comics on Amazon. 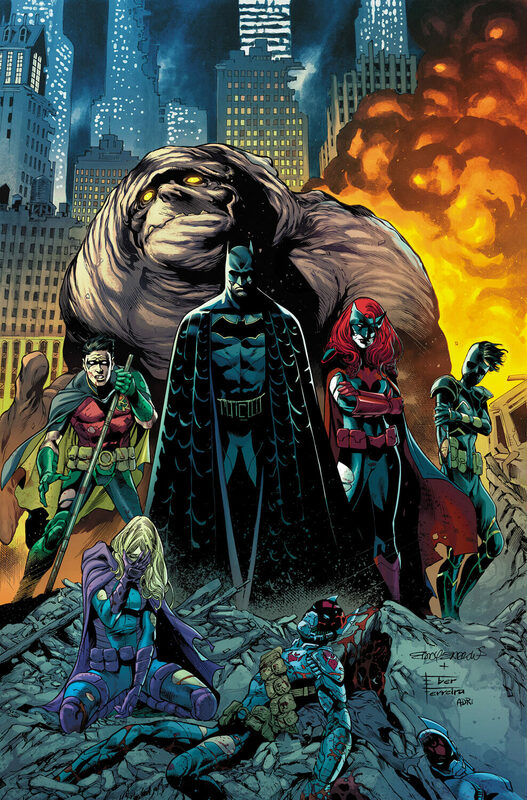 "Night of the Monster Men" is the very first crossover that took place right after DC Rebirth, succeeded by "I Am Gotham" and "Rise of the Batmen" storyline. A team of writers James Tynion IV (Batman/Teenage Mutant Ninja Turtles, Red Hood and the Outlaws), Steve Orlando (Justice League of America – The Extremists, Justice League of America – Road to Rebirth), Tim Seeley (Grayson – Agent of Spyral, Grayson – We All Die At Dawn) and Tom King (The Omega Men, Robin War). 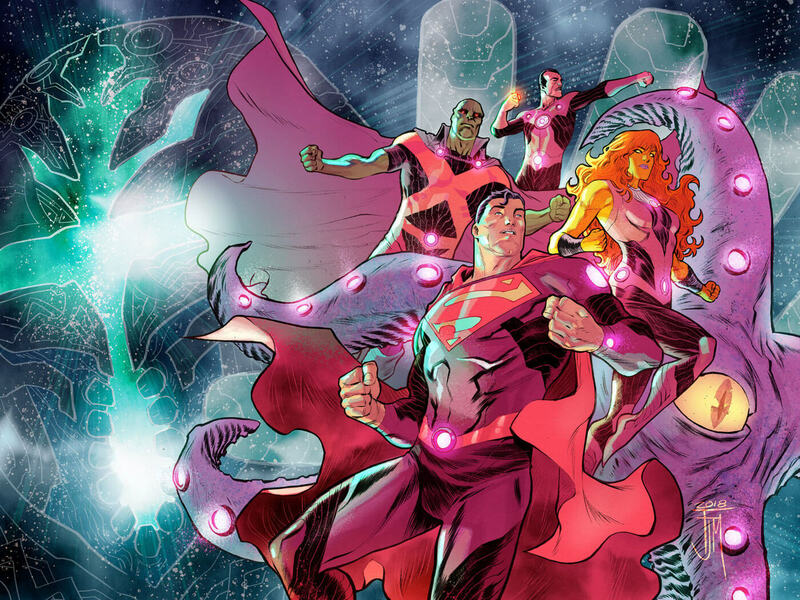 They were also aided by artists Andy MacDonald, Riley Rossmo and Roge Antonio for DC Comics on 2017 to shape the plot. 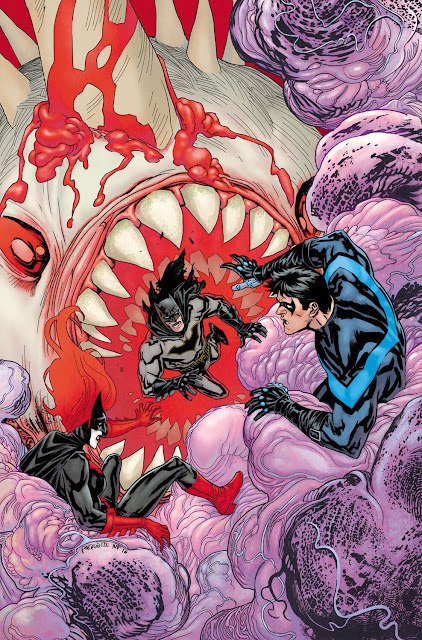 The crossover ran through the issues of regular Batman, Detective Comics and Nightwing monthly ongoing series respectively.